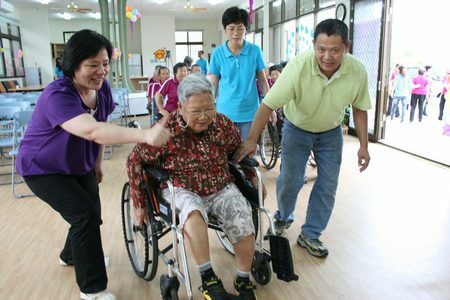 Elderly care in Taiwan is an imminent issue needed to be tackled. The efforts contributed to solve this problem have been great and in government’s close attention. In 2011, the 10.3 percent of population who were 65 years or over consumed 34.4 percent of total medical treatment cost. If the trends continue, by the time the nation is an aged society the spending for elderly care in Taiwan will consume almost half of the medical cost. In this case, elderly care in Taiwan is not only a government’s responsibility, but should be raised to the level on how should the society as a whole deal with this question. The aging trend in Taiwan is unfolding faster than lots of people’s expectation. The percentage of the population aged 65 or over has risen from 7 percent in 1993 to 11.73 percent in 2014. It is projected to exceed 14 percent in 2017, meeting the definition of an aged society. In fact, lots of developed countries such as Germany and Japan have long ago become aged society. But what is worrying in Taiwan’s case is the speed at which the transformation is taking place. France took 115 years for the proportion of elder people to increase from 7 percent to 14 percent. Sweden took 85 years and the United States took 73 years. But in Taiwan it will happen only in 24 years. What’s worse is that the situation is not showing any stop sign. Rather, the current trends in the population of Taiwan lay a foundation ground for a pessimistic future. Total fertility rate, the average number of children born per woman, were the third lowest in the world, according to the CIA World Factbook. The continuing aging population and the almost stagnant provision of new births add pressure to the current workforce. The nation’s ratio of working population aged 15-64 to retirees has shown a rapid decrease. In 2011 it was 7-to-1, but is estimated to fall to 4-to-1 in 2022. While the workforces are the main caregivers who are responsible for the elderly, the shrinking workforces leads to serious problems in the elderly care in Taiwan. The present difficulty of taking care of the elderly has already been hard for the young people given it is even hard for them to support themselves, but the worse is that less and less people are able to do this job, and the population of aged group is increasing at the same time.